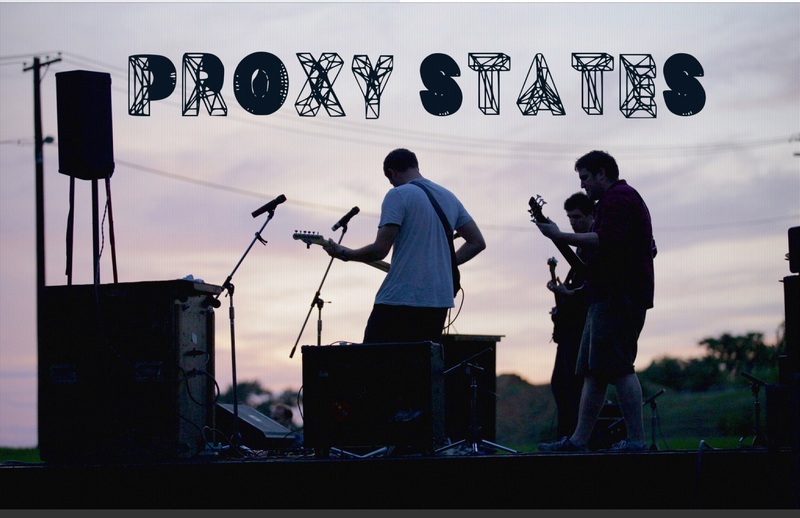 Proxy States’ Demo echoes the sounds of early alternative rock, with psychobilly guitar tones and a bouncy rhythm section. 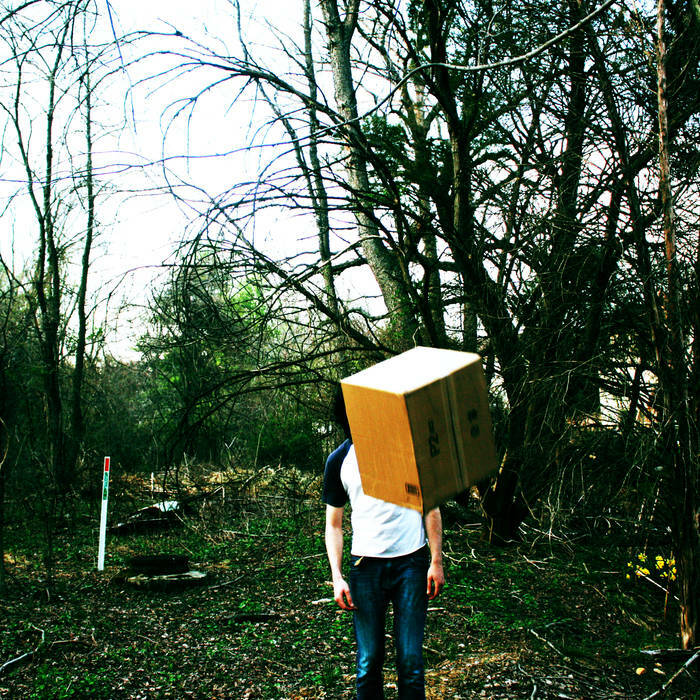 There is a fun energy in these tracks, contrasting lyrics that are sometimes dark and cynical. The songs are well structured, straightforward, and easy to follow. The full range of influences is most apparent in the song “Frank,” starting out with a country blues feel, walking bass line and catchy vocal harmonies, then breaking down into a mellow groove. The whole thing infused with Keith Moon-like drum fills, keeping the energy high. The songs alternate between upbeat rockabilly punk, and dreamy alternative and classic rock feels. A song like “Change Your Mind” could easily become a drunken singalong, played to the right crowd. This is the kind of album that immediately grabs your attention. With a new yet familiar sound, this album really should be heard. The talent in the first track is evident from the first two measures. For an introduction to a new band, it does an excellent job from start to finish. I’ve never heard a song like this before, and I love how much is being done right here. The guitar riff slides and squeals all over a melodic bass line and very solid drumbeats. I love bands like this. Every piece is equally heard, and doing so much to make the song more than the sum of it’s parts. It’s a whole sound, the kind of sound that people spend years trying to achieve. It’s impressive. The guitar solo later in the song really stands out to me. The way they go back in forth is really interesting, and the song ends just as powerfully as it started. Tall eyes keeps the momentum going with great guitar licks and vocal harmonies. The timing changes are great and keep things moving and unpredictable. I like music that surprises me, and keeps me wondering what’s coming next. There’s something really comforting about the way the chords play against the heavily echoey vocals in the chorus. The guitar solos return here against a crunchy bass line. The bassist in this band is clearly very talented, and willing to show that to the world. A strong bassist can make a band go from good to great, and this is no exception to that. Asphalt Anomie has a nice bass and guitar call and response. This is followed by the vocal tracks. This song has some very well written lyrics. “I’ve said it once and again and again, again, no yield. History is a slaughterhouse, you can’t cry at every meal.” That line in particular still sticks with me. There is a certain kind of intelligence and honesty behind these words that is uncommon in a lot of bands. It takes courage to write this way. There’s a story going on here, listen to it for yourself and find out what it means to you. Crawlspace starts with a very nice clean fill. WIth the distant vocals, Cartoon Weapons is making sure it’s known that they are not going to be stuck in one kind of genre or sound. The versatility of the band and differences and nuance between each song keeps things fresh. The bass line has a great slap/funk sound. The vocal harmonies, always present, really remind me of some of the best music of the 1970s. Great song, great dynamic writing. Last Rites of a Living Legend, the title track, certainly earned it’s place. The clean guitar is back, and the bass line is on a different level. High on the fretboard, carrying along the floating melody. There are a lot of excellent drum fills on this song. It’s a very peaceful song. It reminds me of the times in my life where I would reflect on all the choices that I have made. The directions that I could have taken and being at peace with who I am. It taps into my head in a very cerebral way. This song, to me, sounds like a reaction to a challenge that was faced. All of us in the world have many obstacles to overcome. If you’re struggling to figure something out, this song might be able to ease the burden for a while, or at least take your mind off of it. Short Mouth starts with a keyboard riff fading in and out of the sound. This is a really creative form of writing. I’ve never heard anything like it before. One of my favorite things about this band is the way the different instruments, including the vocals, build on each other. They come in and out, but with each entrance and exit add more to the song. In the middle, the news reports contrast sharply with the sound but added so much. Not only are all of the different instruments contrasting with each other, the sounds of the world are eventually drowning them out. However, the only thing that can drown out the sound of the misfortunes of the world is through music. Music has the power to change our perspectives, and in so doing change the perspective of those we play for and share with. Last Rights Of a Living Leg End expands this idea. Dwelling on your sorrow will not let you gain anything. This is something most people do know to some extent, but often isn’t practiced. This entire album seems to be, at least in part, about accepting the loss of someone close to you. I don’t think there’s anyone who at least at one point in life won’t be able to relate to this. The guitar riff and keyboard are as reflective as the lyrics themselves. This band could have easily made this album entirely instrumental and it would have been really great still, but the lyrics and the way they are sung pushes it into a new territory, at least to me. Any Robot But You has some great changes and really might be one of the heaviest on the album. The anger in the vocals is inspirational. There’s something about the glitchy, far away, accusing tone in them that feels true. The melodies go from very pleasant to very dark and hostile, back down to quiet and foreboding. There’s so much talent in the songwriting, it’s almost difficult to explain fully. The drumming on this song is my favorite, by far. With a runtime of almost nine minutes, it shows how much stamina all of these musicians really posses. The mixing here is something that should really be admired. I love this song. The closer, Eating Spiders In Our Sleep brings it back down from Any Robot But You. With a slow pace, fingers slowly sliding out chords while the lead shines over top. This fades out into a less effect heavy beat. A slower, more natural sound builds back into the heavier sound. It’s a great way to end things, with some incredible performances by the keyboard, bassist, drummer, and guitarist. It’s a big ending to a big album, and I couldn’t have ever asked for anything better. 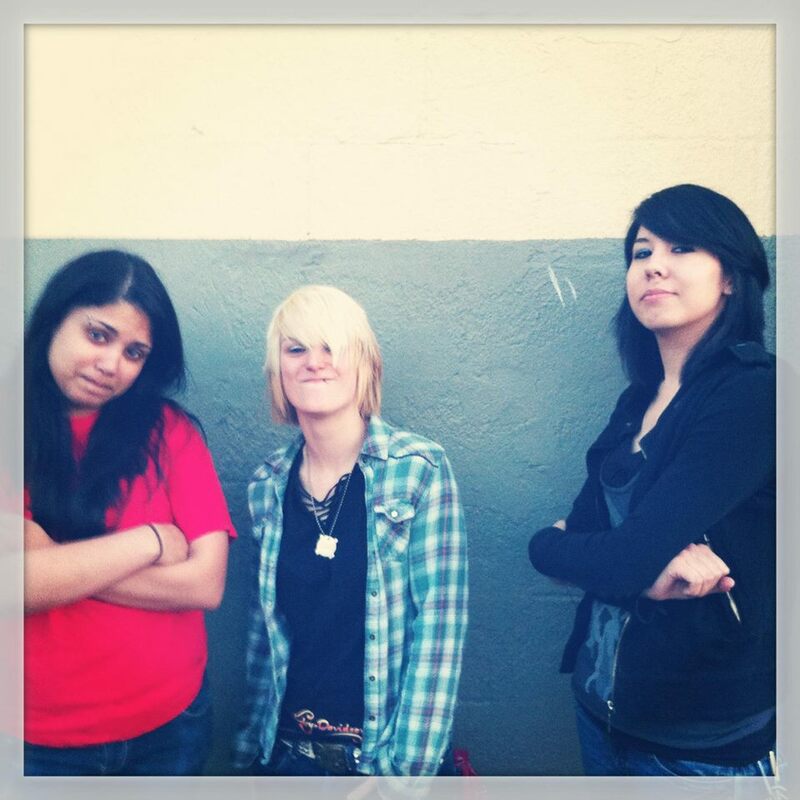 More AM than FM is a hard hitting, honest, and heavy rock band from all over Maryland. I had the pleasure of playing with them at the IOTA club in Arlington. They were a great live band, but their album really stands out as something unique and worth listening to. The album starts off strong with some fantastic lead guitar. Andre is a song that bites hard, with heavy guitar distortion leading into a great lead. This is a song about facing reality, a theme that comes up often in this album. The lyrical melodies and hooks in this song are fantastic, and will stay in your head long after the song has ended. The best part to me has to be the ending. In the breakdown leading up to the final chorus. “I am a stranger to myself, I am a hazard to my health”. There’s something about these lines that sticks with me. Cause for Alarm beings with a clean sound, with some very pleasant chords. The outlaw country and blues rock influences really shine here. The song picks right up after the revealing introspection of Andre.I love the drumming in this song, it flows seamlessly in and out of verse and chorus. The talent of the rhythm section really stands out here. To me, this song is about releasing held in frustrations. There may be no escape from mistakes, but there is still room to overcome them. Nothing will ever make mistakes go away, but our wrong choices are a huge part of what makes us who we are, and more easily remembered than our accomplishments at times. Definitely my favorite song off of the album, and a great track all around. Juliette has the spirit of a classic late 70s punk rock song. The clean electric strumming and vocal harmonies are excellent. Listening to it, it kind of makes me want to tattoo my knuckles and get drunk in a city by the sea. The end of the song is full of great vocal overlays, and the bass guitar stands out a lot here. Not as heavy as the rest of the album, but a nice change of pace. The dynamics and songwriting really showcase how diverse More AM than FM is, and how much talent is in this trio. Kitchen starts off with a palm muted guitar and quickly builds into some amazing leads carried along by the strong rhythm section. The bass is impressive in all the tracks, but I have to say I was very impressed by this one. It pulls you in fast and doesn’t stop hitting. Listening to this album, I would recommend really taking the time to appreciate the nuance and subtlety presented. Listen to all the pieces that make up the whole. Forty Five. I got so invested in this song I had to listen to it a few times before I could focus enough to take notes. Its deep, quick, bass driven and as always the drums are excellent. This song, in my opinion, has the best drumming on the entire album. There are some new ideas expressed in the songwriting that I really appreciated. Some things you can only get in a trio. The bass responding to the guitar riffs, the drums directing the course, More AM than FM has serious talent. I would say more about the lyrics, but honestly, do yourself a favor and listen to them yourself. Go in with fresh ears and find the meaning that stands out to you. More AM than FM really has made something special here. The only complaint I have with the album is that is has me so eager for more. With relatable stories and concepts, a truly impressive bassist with a unique style, a drummer that not only keeps the beat but directs it in new an interesting ways, a guitar that can write a great hook and incredible leads, there is so much being offered here. I highly recommend listening to and purchasing this album, and if possible seeing them preform live.